The bill is called the Renewable Fuel Standard Reform Act. Those involved in the oil and gas industry know that the standards involving ethanol can effect the market by conferring an artificial advantage for the so called “renewable” fuels over oil and gas. The current Renewable Fuel Standard requires 36 billion gallons of renewable fuels to be included in the domestic fuel supply by 2022, and almost all of that is from corn-based ethanol. This requirement uses a massive percentage of America’s corn supply and diverts it to fuel. 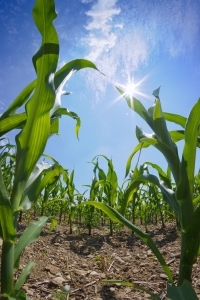 In 2011, 40% of the nation’s corn went to making ethanol, which is about five billion bushels of corn. Because so much of the corn crop is used for ethanol, there is less for food and for livestock feed. The end result is a substantial increase in the price of corn and everything that has corn as an ingredient, hurting consumers and many small businesses. In addition, ethanol in fuel wrecks havoc on everything from car engines, to lawnmowers to chainsaws. No one has bothered yet to assign a cost for these damages to consumers. While Representative Goodlatte is a Republican, the bill appears to have bipartisan support. Congressional members of both parties from Vermont to California are in favor of this bill for various reasons. For example, California Democrat Representative Jim Costa said that putting food (the mandated corn based ethanol) into fuel is taking food off families’ tables. And bipartisan support of this common sense reform of ethanol standards is gaining ground, with 40 diverse groups now supporting the bill according to Representative Goodlatte. Included among those groups are the American Petroleum Institute and the American Fuel & Petrochemical Manufacturers. At the press conference announcing the Renewable Fuel Standard Reform Act, the president of the American Petroleum Institute, Jack Gerard, noted that renewable fuels do have a place in the energy field, but that, “We cannot allow a mandate for ethanol that exceeds what is safe and that could put upward pressure on fuel prices.” The president of the American Fuel & Petrochemical Manufacturers, Charles Drevna, also weighed in, saying, “The RFS was founded upon baseless assumptions and now, eight years later, the reality is that there is no fix for this broken program, which is why AFPM fully supports the elimination legislation.” Drevna said that betting on the Renewable Fuel Standard is like betting against reality and in the end, those betting on it will lose. Keep in mind that the Renewable Fuel Standard is a charade is based on the unproven idea that fossil fuels somehow contribute to global warming. There is evidence of global warming, but there is no peer-reviewed science that shows a causative connection between people’s use of fossil fuels and global warming. Then again, science and logic have never been very popular in Washington D.C.